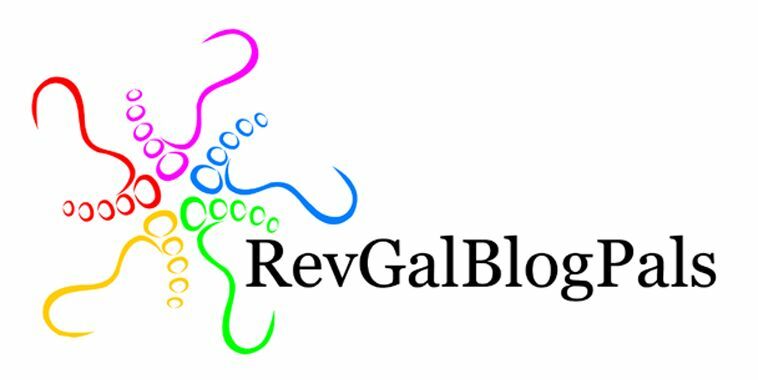 I spent most of this morning writing a set of behavior-based interview questions designed to help congregations and other organizations in the Episcopal Church select leaders with strong experience in collaborative leadership. And when I had finished the first part of the project and sent it on to the rest of my ECF team members, I went outside to do the other part of today’s work. First, I did a whole bunch of raking, enough to make the muscles of my arms sting and to break out a sweat even though we are already in mid-December. 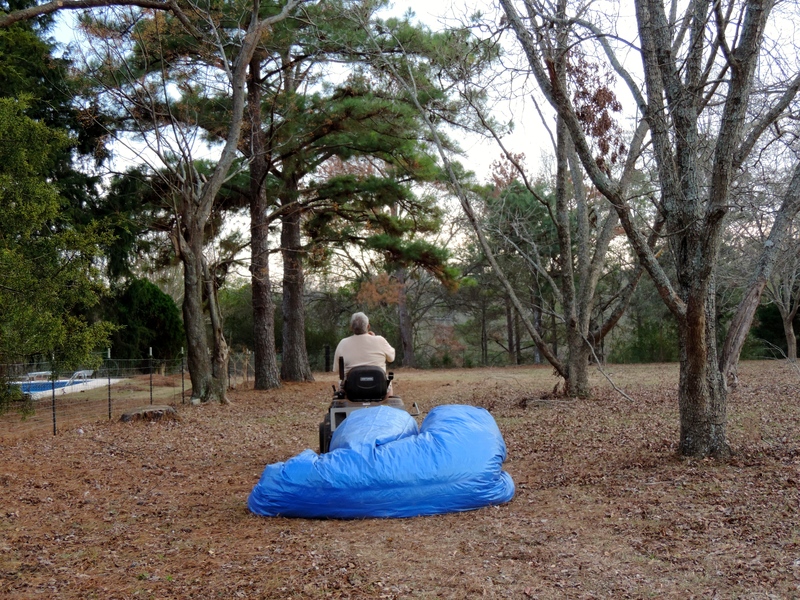 Then Sherod rode the tractor up to the area I had been raking, hauling behind him a FEMA-blue tarp. Now, ever since Hurricane Wilma in Ft Lauderdale, back in 2005, I have always associated this color with disaster. Last week, when I was going into town anyway, Sherod had me pick one up for him. 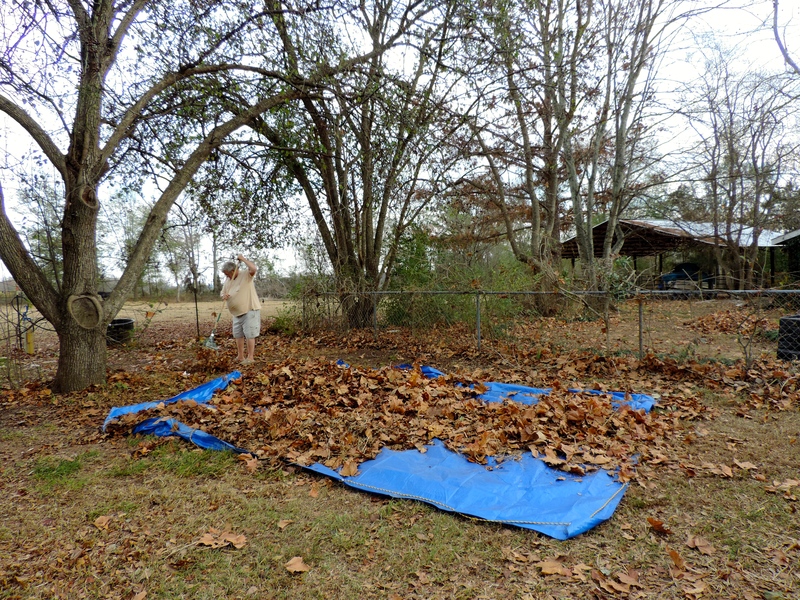 He’s run two lines through the grommets and after he stopped the tractor, we put the tarp down and together got all the leaves I’d rake into piles onto the tarp. 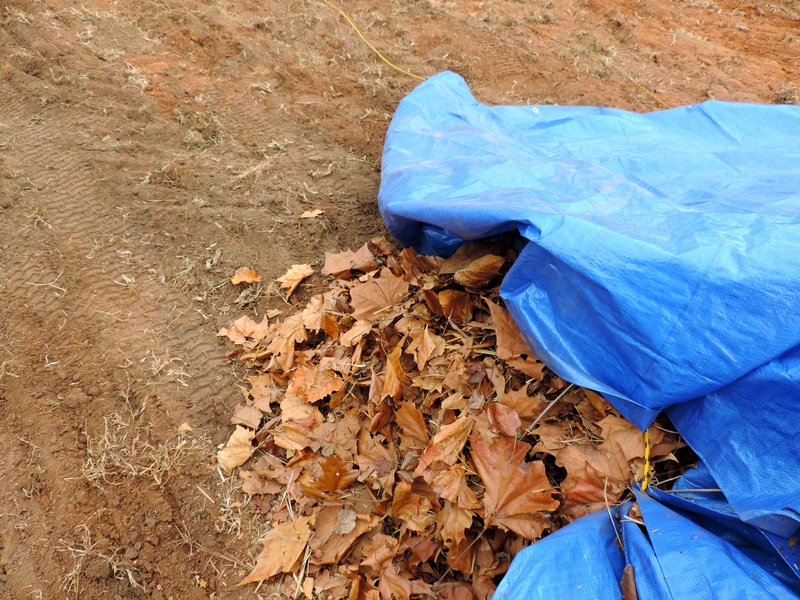 A few tugs and some pulling and it had become a giant purse that was ready to get hauled to the garden area so the leaves get worked into the soil. 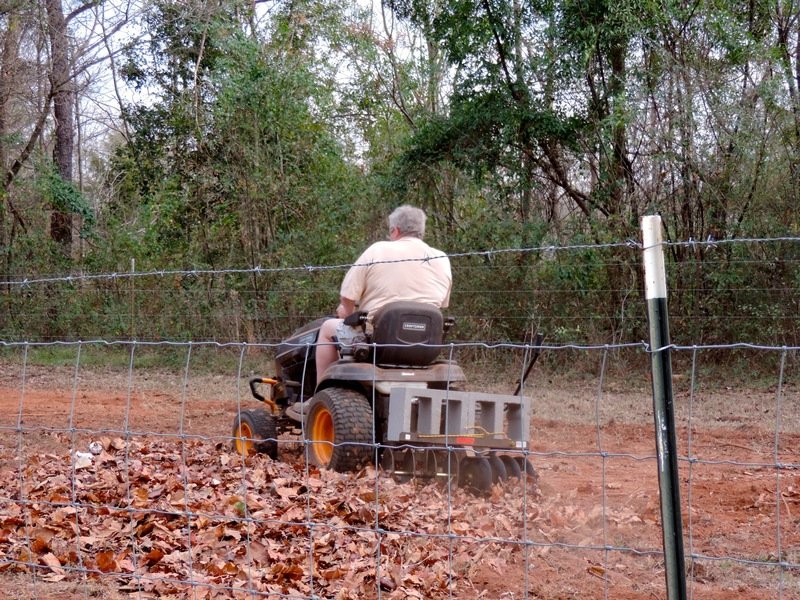 As I write this, the Mallowman is still out working all those leaves into the ground. 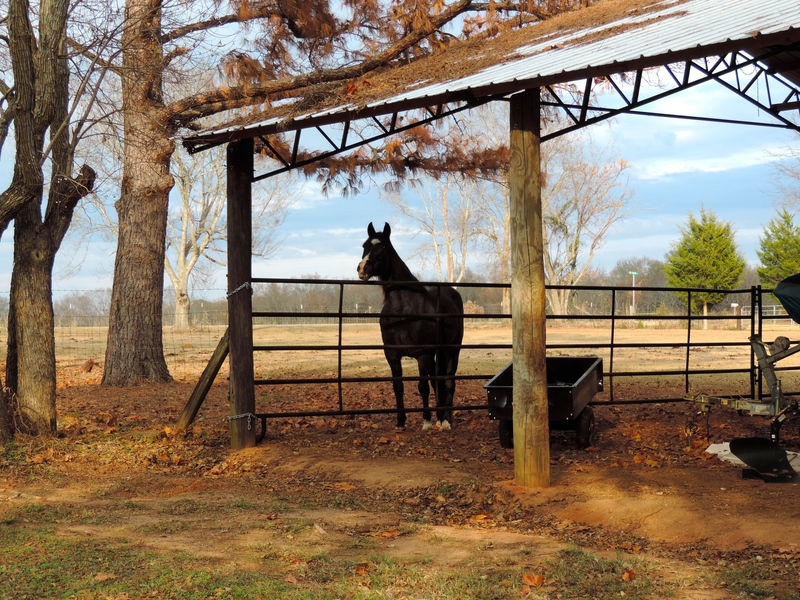 Our resident horse and friend, Buck, stands just outside the barn and seems curious and eager to figure out what’s happening. This is the work of Advent this year.